In 1979, the Harlow-based father-and-son company TK Fabrications opened its ‘garage door’ for business. 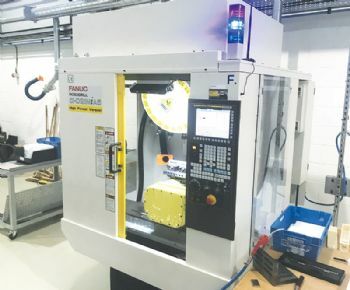 Almost 40 years later, the third generation of the family runs the business in a new factory that it continues to fill with high-end machine tools, the latest being a five-axis Fanuc Robodrill machining centre. TK Fabrications exclusively machines plastic and composite materials, using a variety of turning centres, machining centres and routing machines. These are used to manufacture anything from prototype parts to batches of 1,000+ components, which are supplied to customers in the UK, Europe, China, Malaysia and the USA. Coventry-based Fanuc UK Ltd (www.fanuc.eu) has been supporting the growth of TK Fabrications since 2002. 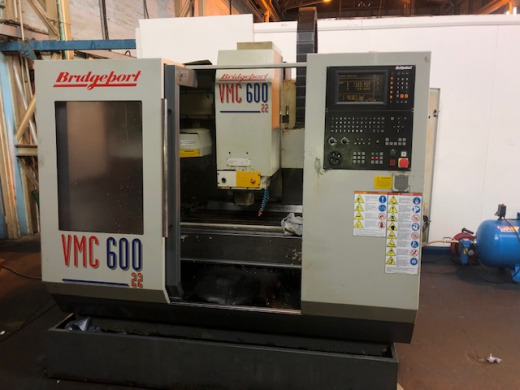 Company director Sam Howlett said: “We installed our first Fanuc machine — a Robodrill T14iB fitted with a fourth-axis Nikken rotary unit — in 2002. We then bought a used Fanuc machine, which we kept for five years. “We recently bought a new high-powered five-axis Robodrill D21MiA5, which offers outstanding performance and the highest level of reliability — so much so that we didn’t see the need for a service contract. “Machine reliability is a key factor for any sub-contract manufacturer, because failing to meet customer deadlines can have significant consequences. Mr Howlett says TK Fabrications’ Fanuc machines have always offered high levels of productivity, adding that even its earlier machines have a 15,000rev/min spindle and 54m/min rapid-traverse rates. “However, the new Robodrill D21MiA5 is swallowing work from the other machines on our shopfloor, as it is so much faster. With this latest machine, we are machining a plastic component in 2min 53sec. Another rectangular plastic part machined on the new D21MiA5 is clamped with two Lang vices. The machining operations — including drilling a 300mm-deep hole — take less than 5min. The previous total machining time was over 20min. The 3+2 configuration of the D21MiA5 is ideal for TK Fabrications, as the company does not require full simultaneous five-axis machining. However, Mr Howlett says configuring the machine from 3+2 to full simultaneous five-axis can be easily undertaken by Fanuc. The new Robodrill D21MiA5 features a BIG Plus BBT spindle; TK Fabrications also specified a riser block to lift the five-axis unit 50mm and give a greater swing capacity. Furthermore, because the company primarily machines plastics and composite materials, it runs its machine without coolant, although its Robodrill is fitted with a dust extraction system. Mr Howlett said: “The airborne particles are collected via the extraction unit, and the machine base is cleaned every 30-40 parts to remove chips. “The swarf is automatically blown from the work area, as we have a through-tool air blast. This also keeps the cutting tools at an optimal temperature, while clearing the work envelope and improving processes such as tapping and deep-hole drilling.